For years I loved the idea of having a Christmas Village but we just do not have the space for it. I only ever thought of them in large displays. 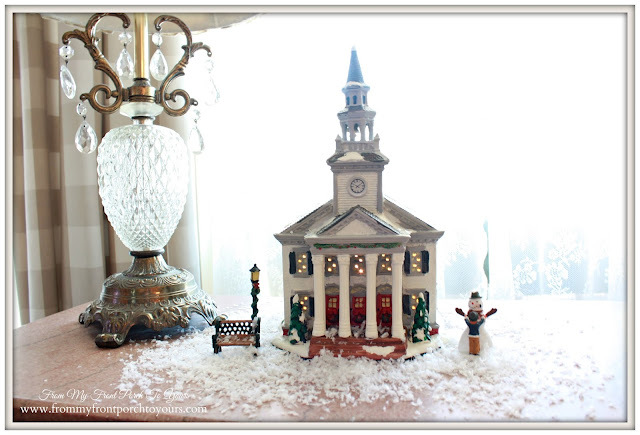 Well I gave up the idea of having one large Christmas Village and decided that smaller vignettes were just as nice. 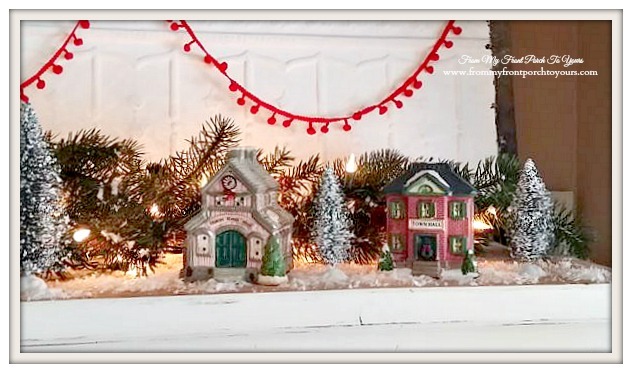 I started collecting these smaller inexpensive Christmas Village pieces last year. Since then I have found a few more at Goodwill. They make for the best vignette above the tv armoire. These two I used in our vintage secretary. 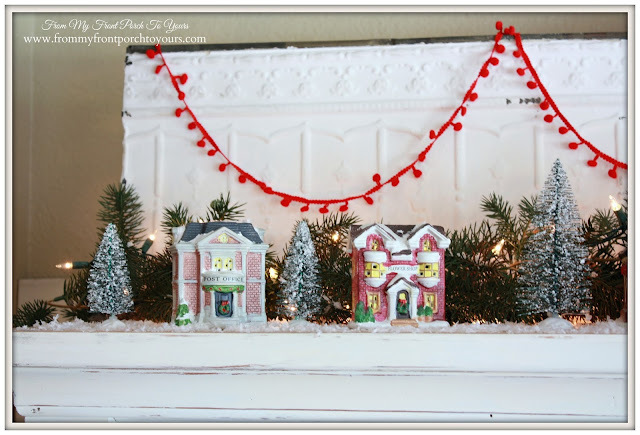 I shared it all decked out for the holidays earlier this week. 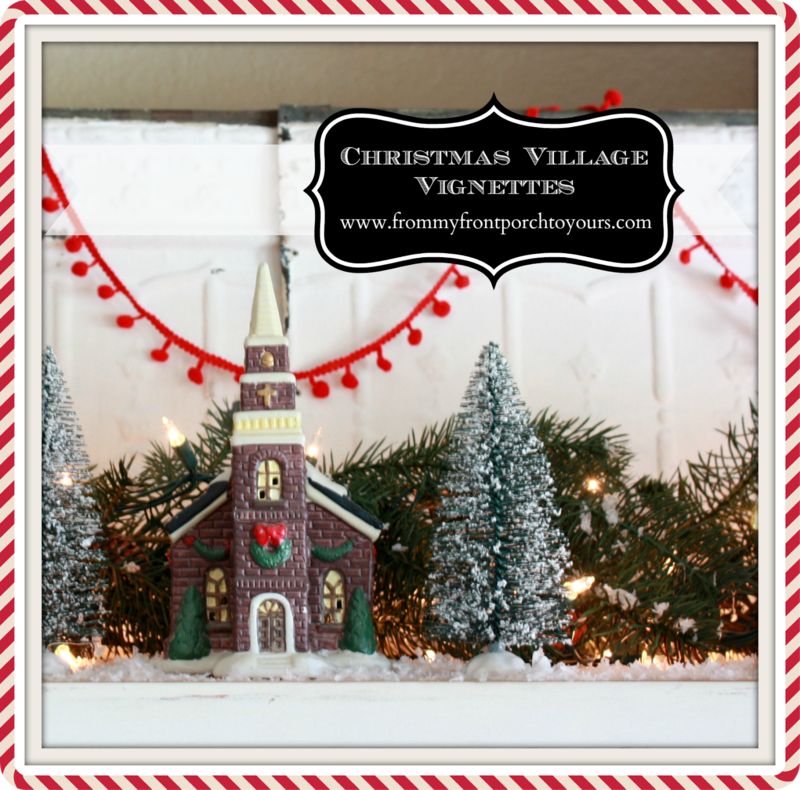 We were at Walmart the other day and well Littlest talked me into buying a few larger Christmas Village pieces. They are fairly inexpensive so I agreed. He had fun picking out a few and the accessories. I loved this church! I have one more larger piece I have not yet placed so I will share that soon. 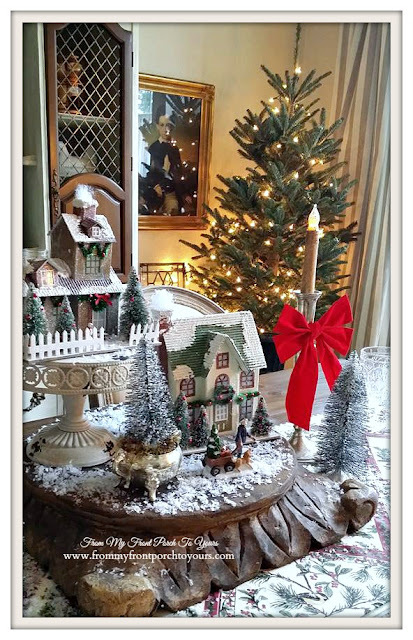 In the meantime here is a sneak peek at our holiday dining room this year where I am using my Putz Houses as a centerpiece. 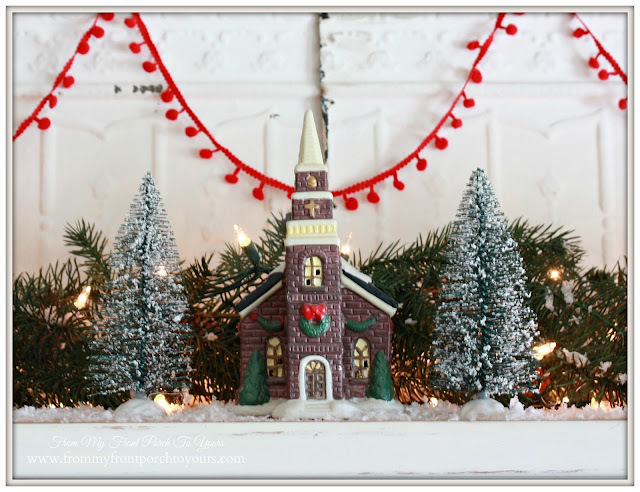 I told my self that I WILL be done decorating this weekend and whatever doesn't get done will just have to be undone so stay tuned for even more Christmas around The Finch Homestead. Do not forget I have an awesome giveaway going on right now! I would love to win-I am a seamstress, and have wanted a decorative dressmaker's form for my sewing room for so long, but can't afford one. I am now following on Pinterest! I would love to win-I am a seamstress, and have wanted a decorative dressmaker's form for my sewing room for so long, but can't afford one. I love them! I agree, they don't have to be all together! Love your village vignette. So sweet. Happy Friday Pamela and have a wonderful week end. 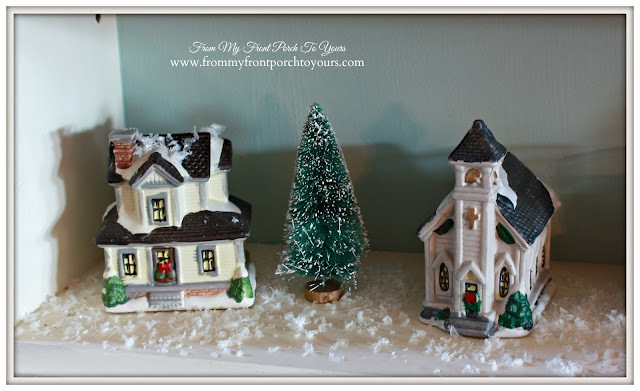 How I wish my Christmas village collection is as pretty as yours Pamela! Love how you style them! Pamela - Your Christmas village is so sweet. Love it. Thanks for sharing.